Misao and Fukumaru have a unique bond. 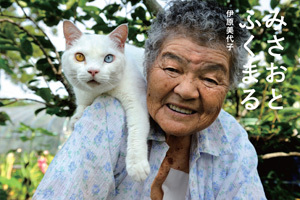 Every day Misao, a 87-year-old Japanese grandma and her constant companion and friend, the cat Fukumaru, go out into the fields of Japan and work. The story of their love is captured in her granddaughter's beautiful photographs. The granddaughter, Miyoko Ihara, is an award-winning professional photographer in Japan. Twelve years ago she started taking photos of Misao as she wanted to "leave a living proof" of her dear grandma. One day about 8 years ago, a snowy white kitten with unusual colored eyes wandered into her grandma's heart. Misao found the kitten in a shed and named him Fukumaru in hope that "God of Fuku (good fortune) comes and everything will be smoothed over like maru (circle)." 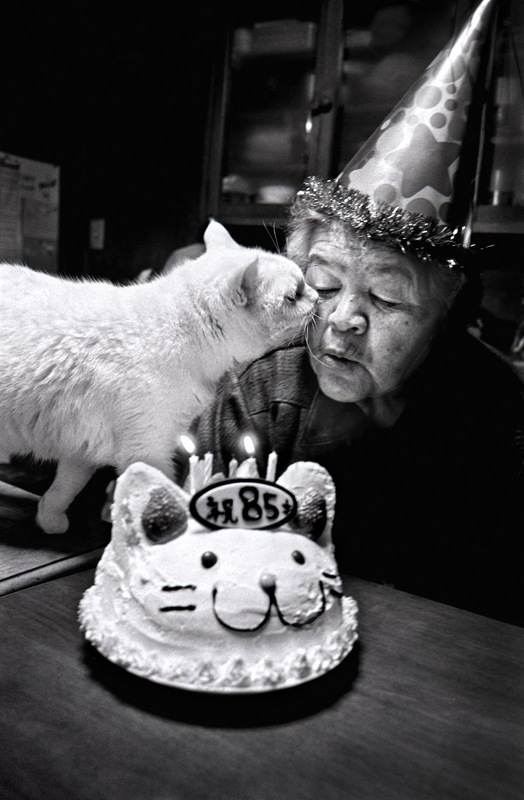 Miyoko Ihara published her photos of the daily life of the two special friends in a book, Misao the Big Mama and Fukumaru the Cat. 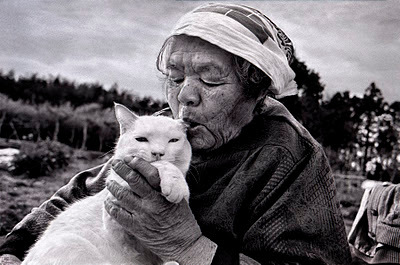 You can see touching photographs of Misao and Fukumaru at Miyoko Ihara's website. "Under the sun, every day is a good day. Another good day, Fukumaru," says grandma Misao. To purchase the book: Misao the Big Mama and Fukumaru the Cat go to Little More Books and Store. With special thanks to Debbie Bergh for acting as a liaison and to Zeming Chen for sharing a link to Miyoko Ihara's website on the Careers for Your Cat Facebook page. OMC ! OMC !!!! Me and My mom love her photo with the kitty for long time, but just know her story today !..We love love this post !!!! This is beautiful! What a sweet story. Lovely story! Thansk for sharing with us. I love this story! and that pic of the kitteh kissing his Mom... priceless. AHHHHHHH! So touching. I hope I have a kitty with me when I'm 87! Oh what a sweet story!!! I love the photos of them together very much. So adorable. They made me smile big!! That's such a heartwarming story and beautiful pictures! I bet the book is very special. That is so beautiful! We love that they have such a strong bond.